How Many Times Is Too Many Times for Items to Be Recycled? How Many Times Can Recycled Items Be Recycled? Wet, wash, rinse and dry—you’ve done that routine so many times that you couldn’t even count it anymore. There are many parts of life that follow this kind of pattern. You get out of your car, pop the gas tank, put in your debit card and then fill it up. Unlock the car, get in, put on your seatbelt and then start it up. But as you’re finishing your drink, rinsing the bottle and tossing it into the recycling bin, what you’ve probably never considered is just how many times it can go through this waste management process. Like most people, you’ve probably incorrectly believed that the items you toss into your recycling bin can go through the cycle indefinitely. Of course, like most people you’d be wrong. 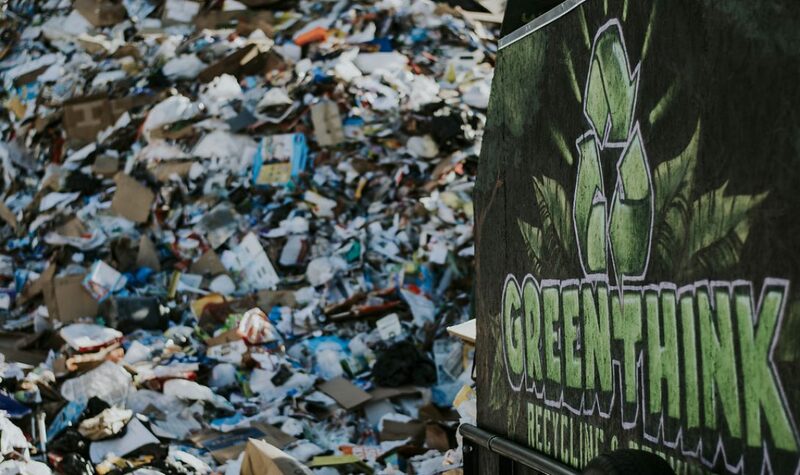 Don’t worry; there are many ins and outs of the waste management world that are hard to understand for anyone who’s not working in the industry. By learning how often things can be recycled, we don’t really imagine that it’s going to make much of a change on your waste bin habits. However, when you know the items that won’t stand up to the test of time, you may begin to shop smarter by choosing items in responsible packaging. We’re moving slowly down the recycling rabbit hole. We’ll show you the items in your home that can be recycled forever, and which items will hit a point when they can no longer be processed and need to find a home at a landfill. Your kids beg you for it when you make a stop at the gas station, and it can be hard to say no when you’ve just survived the sun for a day. But as you pull that plastic bottle of water or soda pop off the shelf, you’ve condemned that item to a quicker death. Plastic can only be recycled into new bottles one or two times. After this point, the item is then melted down into something else (like fabric). This process is called down-cycling, recycling’s cousin. Obviously you can’t just throw your old clothing into a recycling bin, which is the negative side to shifting plastic into this new form. The issue with recycling plastic is that this is an item, which easily becomes cross-contaminated, thanks to its polymers. Because it leaves the items in such bad shape, you should only be more motivated to avoid purchasing plastic. Aluminum has done what we once thought absolutely impossible. Aluminum has found the secret to immortality. This item can be infinitely recycled. There are estimates that suggest two-thirds of all aluminum that was ever made is still being used today. This means, you could be using the same aluminum that your grandmother once used as a child. Not only are you doing your part in taking care of the poor waste management system, you’re also reducing production costs for new items. For a little extra incentive, some states will reward your recycling efforts with a little extra cash if you gather it up. This is typically done by weight, so get to collecting all things aluminum. Of all forms of recycling, paper can be the easiest to do. You find the bin that sits next to your office printer, throw it in, and don’t give it a second thought. However, recycling paper gets nearly as tricky as recycling plastics. This happens because every time the product is recycled, the quality is lowered. As paper is made, the long fibers band together to get you a perfect, unsmudged sheet. Every time that these items go through the recycling process, the fibers are shortened. This means that paper can only be recycled into new paper between five to seven times, depending on the quality of the first product. When you consider the amount of paper that floats around school buildings or offices, that’s not very long of a life. But all hope is not lost when it comes to responsible paper use. Just because the fibers are too short to be paper again, doesn’t mean it’s time to lay these bad boys to rest. Instead, this paper can be turned into a paper paste. This paste is then formed and reformed into things like egg cartons or newspapers. You’ll find that the world of metal recycling isn’t too different from that of aluminum recycling. This is because these cousins both share the possibility of infinite reuse, so long as they’re processed correctly. The hitch that comes from recycling steel or copper is when the items aren’t sorted properly. If cross-contamination happens, the odds are that you’ll create an alloy. This batch of recycled metal can no longer be used. But imagine the perfect world where everyone goes out of his or her way to gather up these items and turn them into something new. We could reduce the demand of needing new materials because we’d already have plenty of metal in circulation. This way, we wouldn’t need to damage mother Earth by continuing to mine for goods. Talk about the go green mindset. Again, if you’d like a little extra cash, your local metal recycling joint will give you money for bringing these goods in. Always keep an eye out for the metals around your home that could be reused. A commonly used item that you’ll throughout your local grocery store is glass—and glass just so happens to be the answer to our go green question. Like metal, this item can be recycled infinitely, so go the extra mile to sort out your glass bottles from the rest of your bin. Glass is one of the items that is actually harder to create from scratch. Not to mention that it’s 33 percent more efficient to recycle glass than it is to create new glass. Next time you’re looking for something to wet your whistle, gravitate to the heavier packaging on the shelf. We know you’re already putting forth a genuine effort to be better at your own waste management system. At Green Think, we believe that the disposal process should stick with you from the moment you’re deciding what to buy. Shop smarter and reduce your footprint on this little green planet of ours. Next Post What Will the Recycling Changes in China Do to Your Blue Bin?